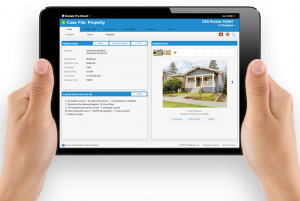 MRI Software is a leading provider of innovative real estate software applications and hosted solutions. MRI’s comprehensive and flexible technology platform coupled with an open and connected ecosystem meets the unique needs of real estate businesses — from property-level management and accounting to investment modeling and analytics for the global commercial and residential markets. A pioneer of the real estate software industry, MRI develops lasting client relationships based on nearly five decades of expertise and insight. Through leading solutions and a rich partner ecosystem, MRI liberates real estate companies to elevate their business and gain a competitive edge. For more information, please visit mrisoftware.com. Does your agency manage CDBG, Lead Hazard, Healthy Homes or other residential rehabilitation programs? If so, it’s time to replace your paper files and get organized with Rehab Pro Direct™ – HAPPY’s new cloud-based, Software as a Service solution that will help you more efficiently administer these programs and save you time. Accessible through a browser or iPad application, Rehab Pro Direct lets users quickly access all the information they need from anywhere, any time. And because it’s web-based, you don’t have to worry about anything technical. We take care of backups, upgrades, and security so you can concentrate on what matters – administering your program and getting on with the job. Rehab Pro Direct is affordable, easy to setup, and simple to use. Visit us online at www.RehabProDirect.com or contact our Rehab Pro Direct Team directly at 888-484-2779 opt. 7 to learn more about how this solution can make you happy! Visit www.mrisoftware.com/events for a full list of events we will be attending. Save the Date for HAPPY’s 2015 User Conference! Join us on June 15-17, 2015 in Saratoga Springs, New York for HAPPY’s 2015 User Conference. First Look at Housing Pro 9. 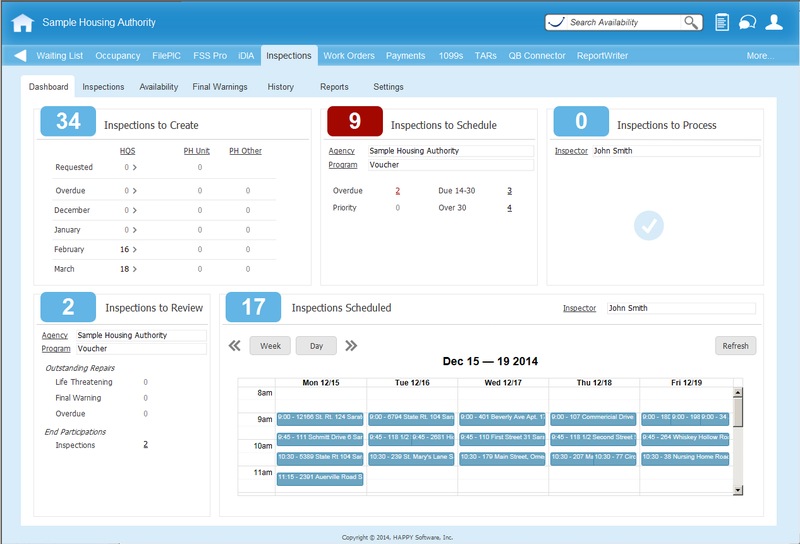 Get an exclusive first look at the new, streamlined Housing Pro interface that will be available to Housing Pro clients in late 2015. (Click for a Sneak Peek at the New Interface) Attendees will also have the opportunity to be selected as a beta testing site, allowing your Agency pre-release access and a discounted Upgrade rate. Great Location. The conference will be held right in our backyard (literally) at the brand new Embassy Suites Saratoga Springs. This location gives us the unique opportunity to invite you to our offices for hands-on training, a meet and greet with staff and an office tour. While in town, take in the sights including the historic downtown, Saratoga battlefield and mineral springs and you will see why Saratoga Springs was named the “happiest” city in New York. Affordable. A reduced early-bird registration conference rate of $395 makes attending the HAPPY User Conference affordable for even small PHAs. Albany International Airport, located 30 minutes south of Saratoga Springs, is serviced by most major airlines including low-cost provider Southwest. The Embassy Suites hotel offers a competitive rate of $159 per night and includes a complimentary cooked-to-order breakfast and evening cocktail reception. Watch for more conference information coming your way in the upcoming weeks. For additional information, you can also contact our Sales Team at sales@happysoftware.com or 888-GT-HAPPY option 4. We hope to see you in the spring! A HAPPY client was recently informed by their HUD Field Office that e-mailing a HUD 50058 form to another housing agency as part of the Port-Out process was a violation of program guidelines regarding Personally Identifiable Information (PII) and Sensitive Personally Identifiable Information1. This came as a surprise to the agency, since sending the 50058 is required under Portability and sending it via e-mail seems like an efficient and reasonable action to take. As it turns out, according to PIH 2010-15, PII can only be sent electronically if the message and any attachments are encrypted2, a process to secure e-mail that is seldom used and complicated. So what does this mean for your agency? E-mail is not considered a secure method to transmit PII or Sensitive PII, while U.S. mail and the FAX are. But e-mail and other electronic means of transmitting information are more cost effective, faster and more convenient. To start, agencies should only use e-mail to send letters and forms that do not contain PII. For documents that do contain PII and Sensitive PII, HAPPY has created a secure way to transfer these forms electronically using our online AssistanceCheck® System. This innovative service enables your applicants, tenants, and property owners to find answers, submit requests, update their case file (with agency approval), send and receive documents and complete re-certifications online – on their own, at any time, all within a secure and encrypted environment that meets HUD’s requirements. Contact our sales department to learn more about how AssistanceCheck can provide your agency with an added level of PII protection and a significant savings in time and money. PII that when lost, compromised or disclosed without authorization could substantially harm an individual. Examples of sensitive PII include social security or driver’s license numbers, medical records, and financial account numbers such as credit or debit card numbers. Saratoga Springs, NY – December 11, 2012 – HAPPY Software, Inc. announced statistical information regarding the collection of applications for federally assisted housing using their WaitListCheck™ online system. In the last two months, HAPPY’s WaitListCheck system was used to open major waiting lists in Houston, Portland, Virginia Beach, and the Orlando area. Together, these Housing Authorities collected more than 120,000 applications online, including one opening that saw 45,000 applications collected in just one day – smashing a competing vendor’s published daily record of 8,800. Peak usage of the system saw sustained periods of use where more than 6,000 applications were taken hourly. To date, the company knows of no other system that has collected nearly as many applications per day, week, month or in total as the WaitListCheck system. HAPPY Software, Inc. is a privately owned leading provider of software and consulting services to state and local government agencies administering federally funded housing programs. In business since 1997, the company has clients in 49 States and Puerto Rico. Additional information can be found at www.happysoftware.com or by contacting 888-GT-HAPPY.